Made from die-cast zinc, these hinges can be used to construct swing doors with Profiles 6, Profiles 8 or any desired panel elements. 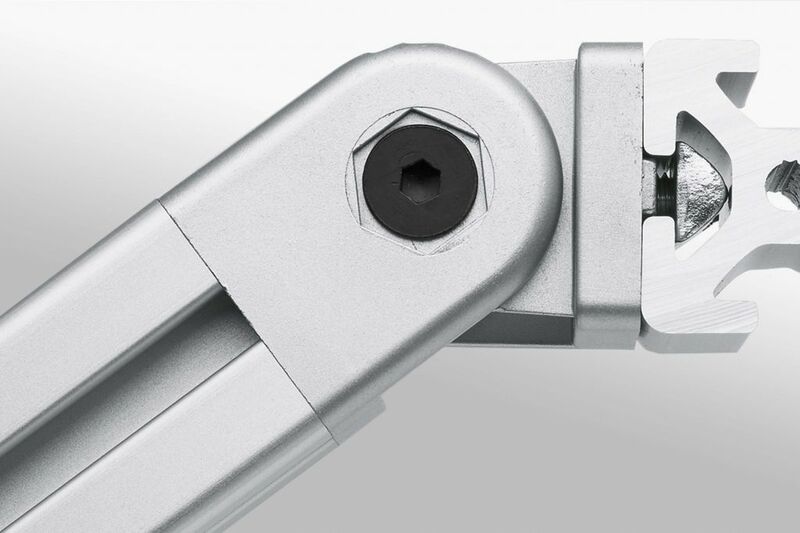 The basic unit of the Hinge used in conjunction with the asymmetric anti-torsion blocks allows a whole range of combinations and mounting dimensions. The anti-torsion blocks can be removed for making screw-connections to panel elements. Steel Hinges are universal, lightweight hinges for doors and lids. In most cases, they can be mounted on the inside or outside of the door. The panel element or door can be swung around 180°. The slots allow the hinge to be adjusted and used for profile 5, profile 6 and profile 8. Simple components for lightweight doors and lids. They are provided with an anti-torsion element which engages on the profile grooves. 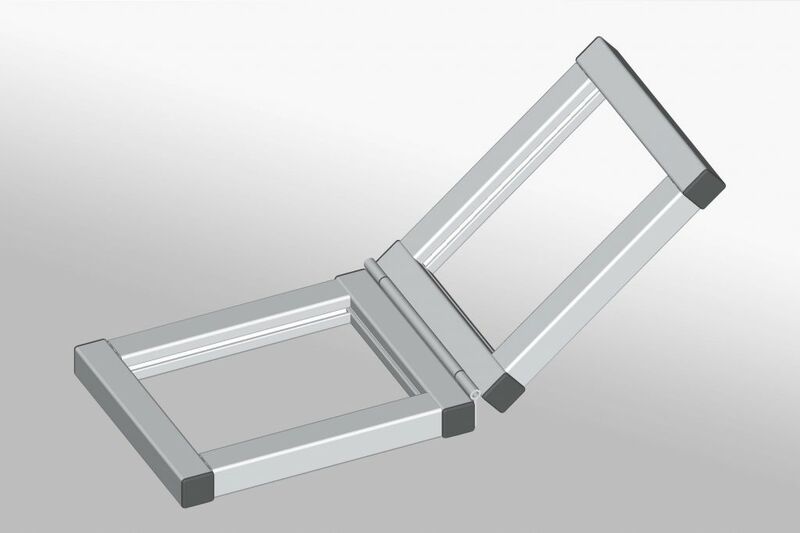 For aluminium profile 6 and profile 8, the hinges can be fitted with the ability to be lifted off at a later date or remain permanent. 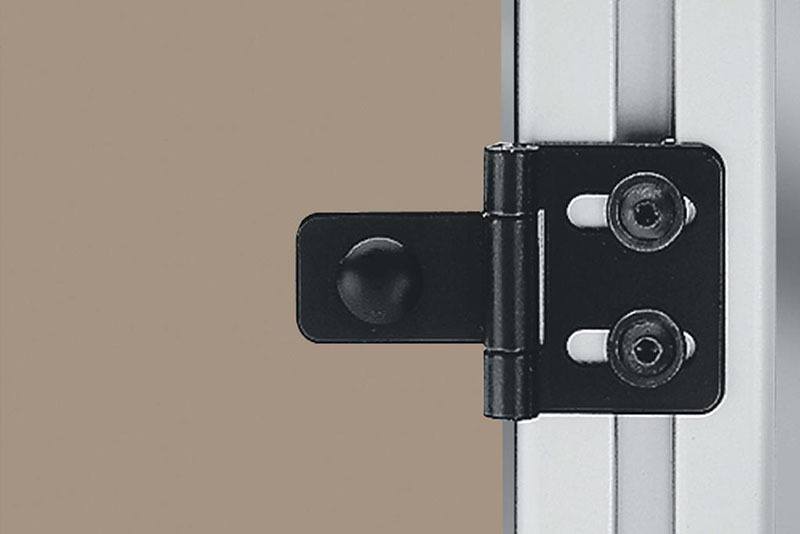 For use as heavy-duty hinges (adjustment range ± 90°). When used in conjunction with the spacer rings, they can be used as freely movable hinges. If the spacer rings are removed, they can be used as rigid angle elements, e.g. bracing, and can also be pinned. The Hinges with Clamp Lever can be locked in position or released. Particularly suitable for adjustable holders, swivel-type arms for Parts Containers and other similar equipment. These hinges are made from anodized aluminium and are suitable for swivel doors and lids designed using either profiles or solid panels. They can be surface mounted, enabling doors to be fitted to the fixed outer frame with virtually no door gap. 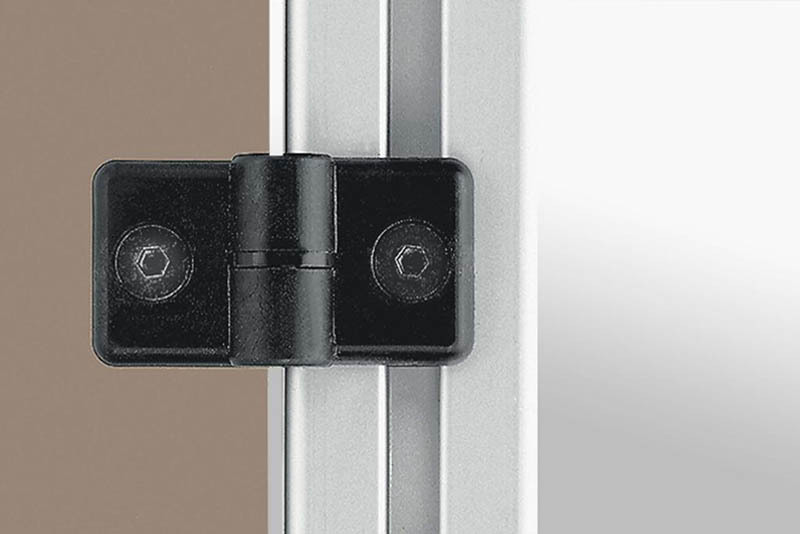 Customised hinge strips that cover the entire gap between the door and fixed door frame. Create a door using the Clamp Profile 8 32×18 and Corner-Fastening Set Clamp-Profile 8 32×18. The Hinge 8 is fitted into the Corner Fasteners after the clamp profile frame has been constructed. 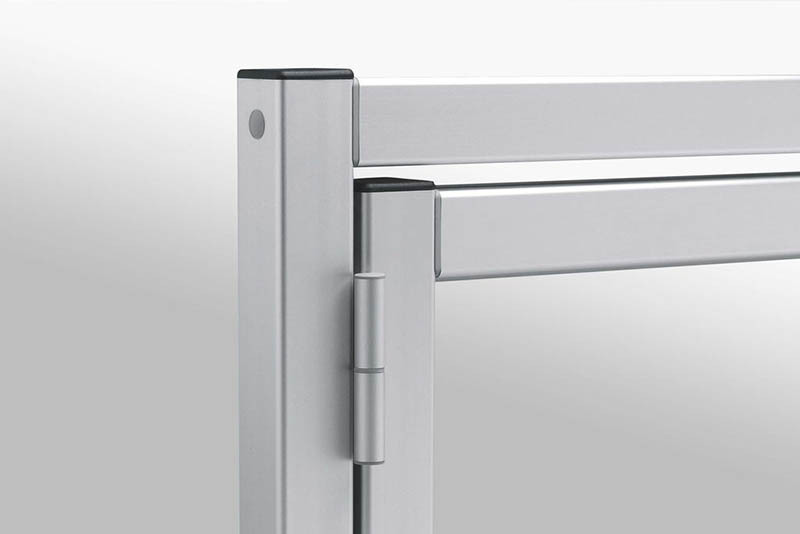 A hinge bearing is attached to both the upper and the lower frame profile and functions as a rotary bearing for a door. 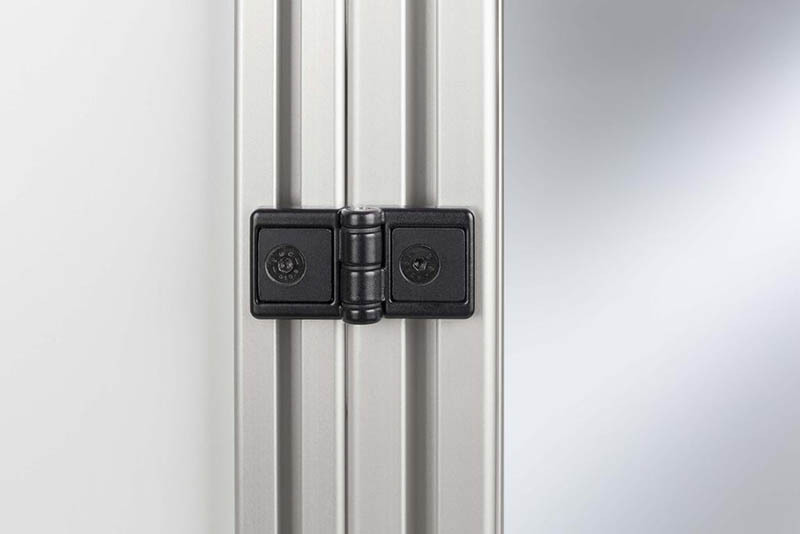 During installation, the spring-loaded Hinge Pin engages in the bearing plate, whose position in the groove can be adjusted when the swing door is open. This provides an effective means of preventing a closed door from being dismantled. 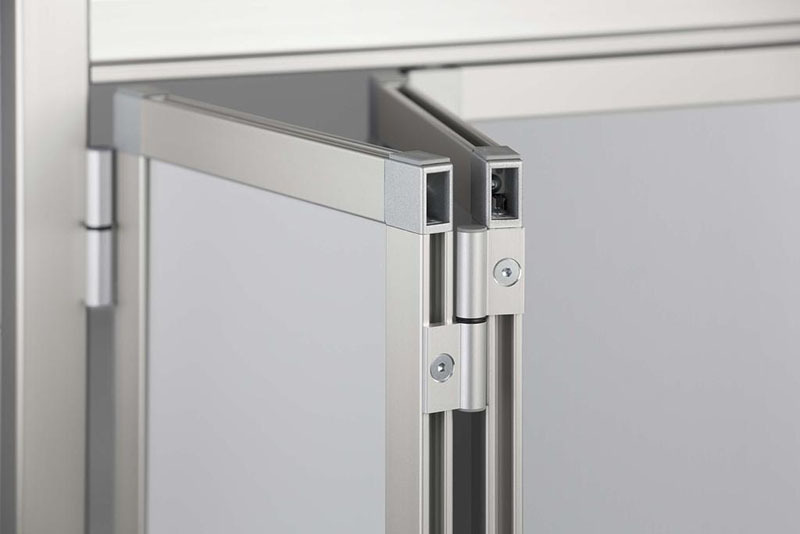 Another option is the Folding Door hinge which creates a concertina door.